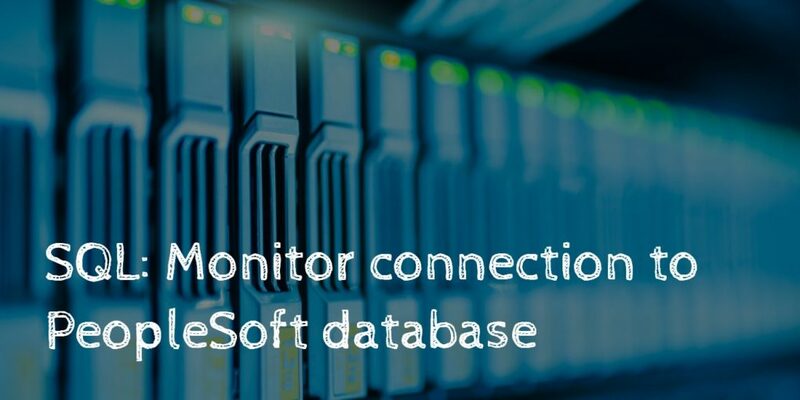 Ever wondered how many users are connected to PeopleSoft database? This is different than users who login into PeopleSoft application via web. You can find users who make direct SQL connection with your PeopleSoft database. 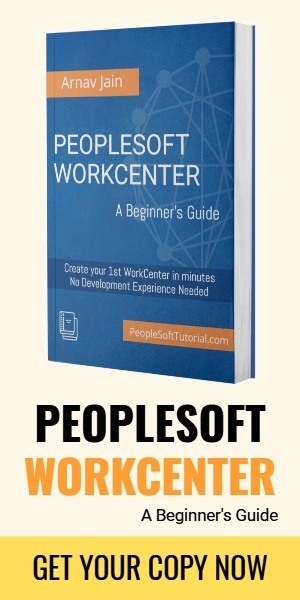 This includes anyone using SQL client tool, PeopleSoft development tools and connections made by PeopleSoft server such as application server & process scheduler. Below SQL is applicable for PeopleSoft Application running on Oracle DB. SQL Client connections such as Toad, SQL Developer etc. PeopleSoft 2-tier login such as Application Designer, Data Mover etc. 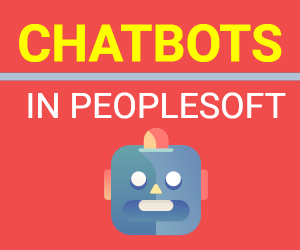 You can filter the results to find users who are connected to PeopleSoft application using Application Designer(2-tier). Here is how. Similarly you can modify the SQL to change ‘program‘ field to filter for other programs such as datamover, toad etc.